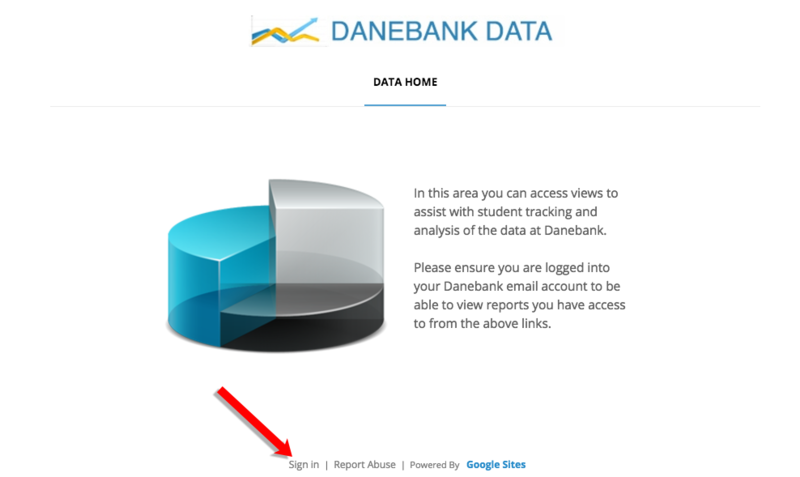 This tutorial shows you how to access our Danebank Data views through the Edumate Wiki. These views can be used for accessing Timetables, Student Academic Tracking, NAPLAN results and more. 1. Make sure you have signed into your work email first, or have it open in another tab, then In Edumate, click on the ‘Wiki’ button from the menu on the left. 2. Hover over the category options and click on the view you wish to access. 3. When you open a view, if the data is too small you may want to expand the view to full size by clicking the expand icon in the bottom right corner of the view (you may need to scroll down to see this icon). 4. If ‘Data Home’ is the only option you can see, click ‘Sign In’ at the bottom of the page. This should populate the categories at the top that you have access to. 5. If the page turns blank after clicking sign in, you will need to click the wiki button again from the left edumate menu, right click on ‘sign in’, select ‘open in new tab’ then either sign in with your work account or choose your work account from the list of options in the new tab that opens. If you are still unable to access the wiki or are missing any views you believe you should have access to, please contact IT Support.